Drag the box to the right. 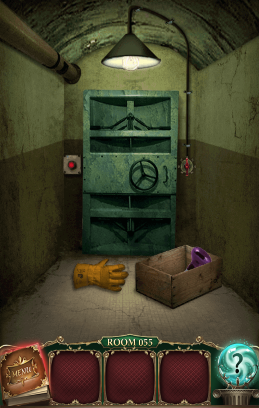 Pick up the glove and select it in inventory. Turn small red lever, then take the lightbulb. Press red button and enter code.